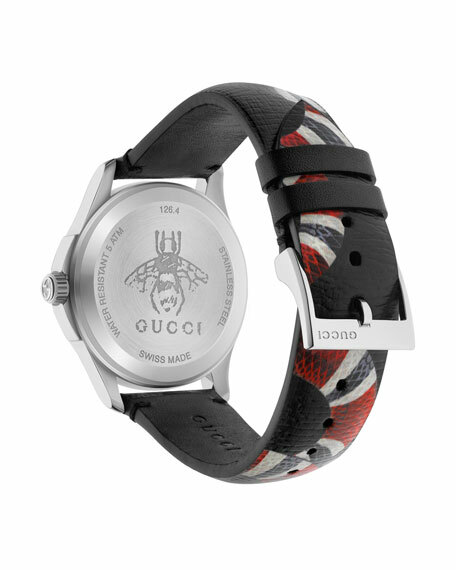 Gucci unisex watch from the Le Marché Des Merveilles Collection. 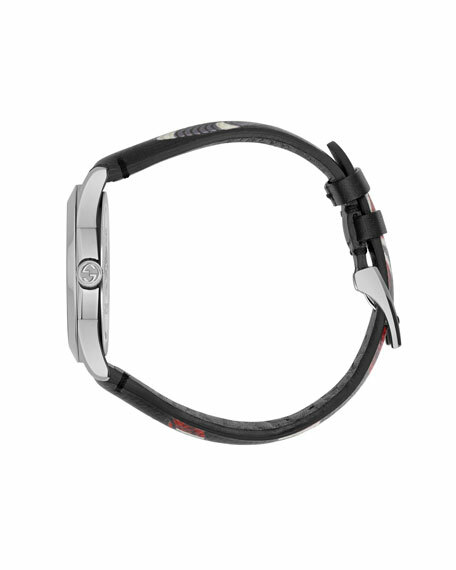 38mm round polished stainless steel case and hardware. Gray leather strap with printed snake body detail. 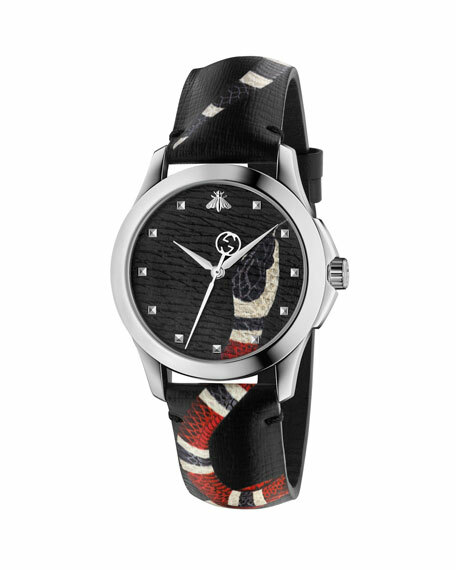 Gray leather dial with printed snake head detail. Three-hand Swiss-made ETA quartz movement. Sapphire crystal with antireflective coating.